The rise in trade-based money laundering (TBML), combined with the enormous regulatory fines and ongoing scrutiny from various government agencies, has created a need for enhanced financial transparency, specifically where documentary credit-based money laundering (DCBML) is considered a subset of Trade Finance Based Money Laundering and ultimately TBML. We spoke to Ehsan Valipay an expert on TBML – DCBML typologies. Mr. Valipay joined Navigant as a senior independent contractor in early 2016. 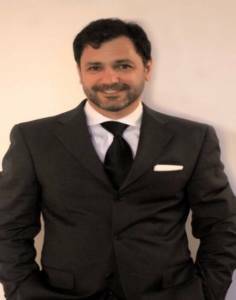 He has 20 years of banking & financial services experience in the fields of Compliance, Anti-Money Laundering, and Financial Technology, working with major international banks, Big 4 consultants, and asset management/brokerage firms. Mr. Valipay is a Certified Anti- Money Laundering Specialist (CAMS), with experience and expertise in general compliance, Trade and AML program components of risk assessment, policies & procedures, ‘Know Your Customer’ due diligence, transaction monitoring, and suspicious activity reporting. Navigant Consulting Inc. (NCI) is a consulting firm specializing in a number of sectors including: Financial Services, Construction, Health Care, Energy, Government/Public and Legal/Risk Compliance. NCI collaborates with banking, insurance, and investment management firms to enhance and streamline compliance, manage risk, safeguard reputations, and create competitive advantage. Why is compliance, KYC and AML so important, particularly in trade finance? Financial institutions struggle to systematically create a supply chain that offers an audit trail and unhindered financial visibility to ensure the usage of an LC is not being misused or abused. In my opinion, industry needs an effective and enduring approach to ‘monitor’ and ‘screen’ trade finance activities. This approach should be an all-in-one trade finance based AML monitoring, screening and reporting solution designed to address the growing complexity in trade finance monitoring so organizations can flag financial crimes activity including LC abuse, money laundering and sanctions threats. 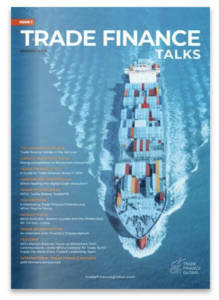 This issue is finally recognizing the importance of key attributes in monitoring high-risk trade finance activities to enable us to understand the need to interface with current case management and screening systems, and to realize the necessity of auditability, and be able to provide reports and dashboards for investigators and officers alike. What were the biggest trade finance issues businesses faced in 2016? 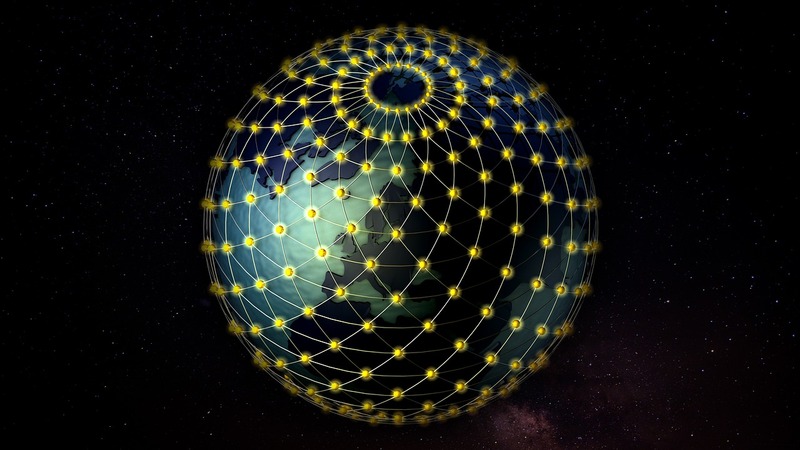 Read our recent post on the Trade Revolution: Globalised, Digitalised Trade Finance here. What are the latest advances in AML and KYC – and how can these be improved in the trade finance sector? I think financial institutions are doing better with improving their existing transaction monitoring systems extending coverage beyond wire transfers and correspondent banking. Many institutions today are beginning to develop trade in red flags rules based on SWIFT’s payment series messages (4 & 7 series). Although, this is a good start, but it leaves out the core typologies dealing with Documentary Credit Based Money Laundry (DCBML). Meaning capturing red flags from a ‘Trading’ & financial crimes perspective in addition to a payment perspective. Additional challenge has historically been the paper nature of trade finance, where banks are now beginning to scan trade documents (i.e. LCs, Bill of ladings, Commercial invoices, and other shipping documents) and use technologies related to OCR (Optical Character Recognition) to capture & store relevant data digitally. For those just starting trading internationally, what would you recommend from a compliance and regulatory risk mitigation perspective? 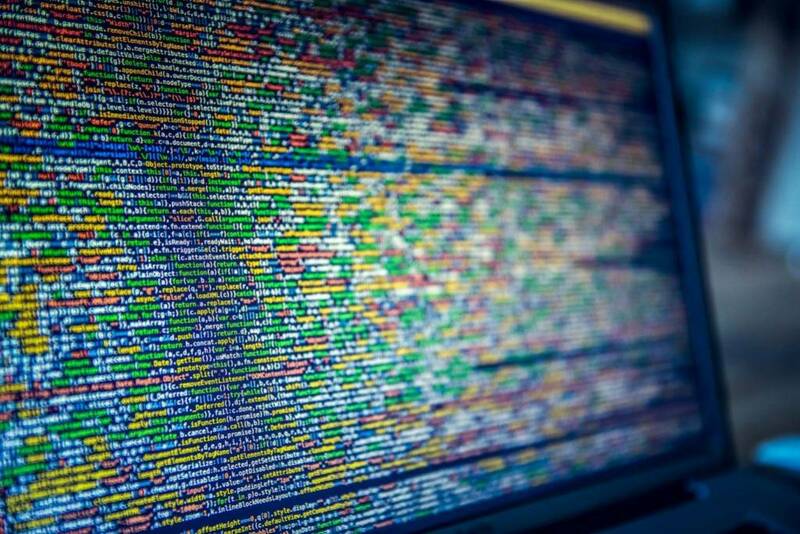 If you do not have a ‘Trade’ monitoring software in place, at least ensure your institution’s existing AML Surveillance software is at minimum monitoring & screening your Trade Finance (TF) payment transactions to make certain they are sanctioned free and are triggering red flag alerts from a trade payment perspective. If no technology is in place at all, keep an effective audit trail with manually marking red flags with a Trade red flag-cheat list published by BAFT-IFSA in early 2015. How do you feel about block chain as an opportunity to transform trade finance, and do you see this as an opportunity or a threat in terms of the above challenges? I feel Blockchain will help keep all trade related attributes and values consistent & standard globally, yet don’t see it helping the industry with detecting financial crimes in Trade. I am highly reserved on commenting on blockchain being secure with regards to Cyber security, as recently Bitcoin was hacked and caused a downfall with its value. 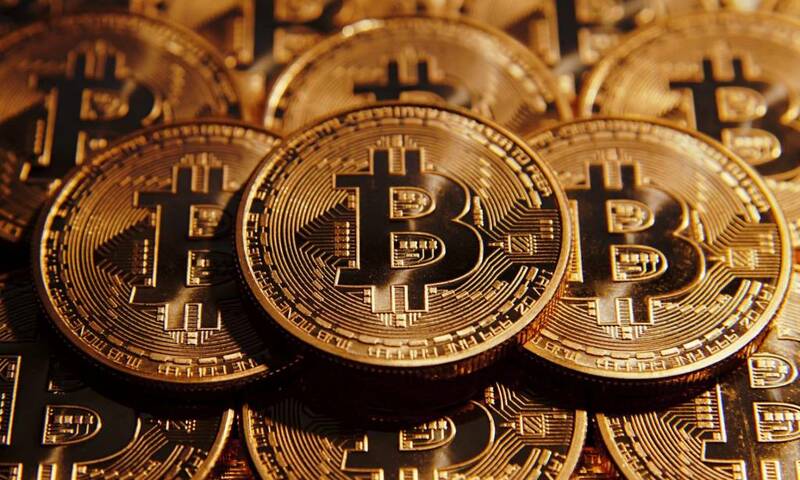 Bitcoin claimed hackers stole about $65mm in late last summer. Blockchain is considered the transaction database shared by all nodes participating in a system based on Bitcoin’s network protocol. Net-net, anything is hackable! Even Bitcoin. Read Ehsan’s whitepaper regarding Trade Finance Monitoring and financial crimes here. 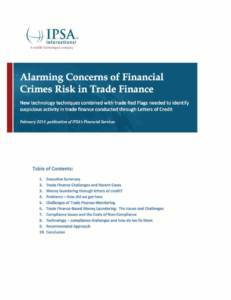 Alarming Concerns of Financial Crimes Risk in Trade Finance – New technology techniques combined with trade Red Flags needed to identify suspicious activity in trade finance conducted through Letters of Credit.